We offer the benefits and personal service to our clients which can only be afforded by a well established boutique agency. One of the advantages of a boutique specialised agency is the ability to provide better lines of communication and immediacy of service to our clients. This is what can be achieved when you are dealing directly with the Licensee and owner of a business. 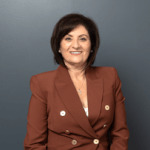 MIMMA NOTARO – is the Licensee/Principal of Network Exchange Realty who has been successfully working in Real Estate since 1997. Mimma oversees the everyday running of the business and is actively Selling and Leasing Real Estate with a strong background in Sales and Property Management. We offer unparalleled service and results making selling your home a pleasurable, stress free and rewarding experience and achieve the maximum return for you. We pride ourselves on providing exceptional and professional personal service. Happy clients are the greatest assets and look forward to helping you with your real estate needs - a single goal: result for you, our client, Selling or Leasing with Confidence. When it comes to creating an selling strategy and advertising program for your property, we draw on a comprehensive suite of different mediums to ensure full market penetration. Each campaign is customised specifically to your needs and is complemented by quality creative services such as photography, video, floors plans that maximize buyers interest. Regular feedback to Seller is extremely important, either via email or phone to discuss progress, marketing and strategy of property. If you are looking for a professional real estate agent who will provide personal service, we highly recommend Mimma Notaro from Network Exchange Realty. From our first meeting to we appreciated Mimma's enthusiasm, communication style, and expert advice. Most importantly, our home leased quickly and at the right price. I wish to express my appreciation for your attention and expertise when handling the leasing of my property in Wembley. I was so impressed and very happy with the quick turnaround, your professionalism and lovely manner. I would recommend your company, your services and you as a sincere, professional and fine real estate person for any property matters, anytime. I wish you well in the building of your company and look forward to working with you again in the future. Having met you some years ago after we contacted you, we appreciated your perseverance as we searched for properties we liked. As you know, it took some time. We found your expertise in a marketing strategy and valuation of our home resulted in a very smooth sale and then same in our purchasers. We are extremely satisfied with the professionalism in how our properties are currently being property managed to a very high level. We would not hesitate to recommend you to our family and friends to sell or property manage their property.